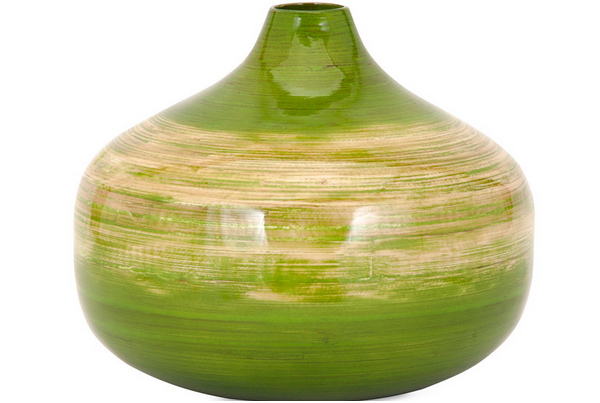 I believe that all vases are art forms – on their own way. 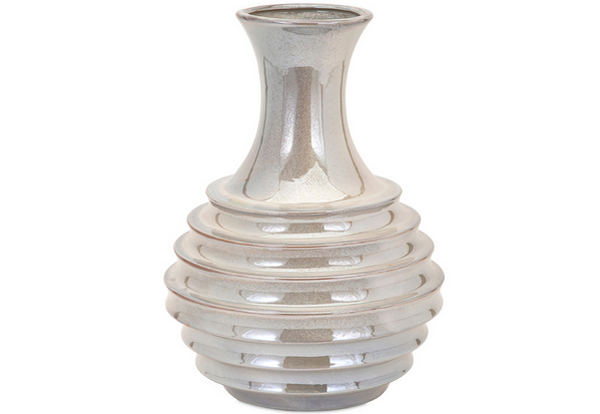 Whatever the design a vase has is pretty much an art created by the designer; this is whether the vases we are talking about are done by hand or by a machine. Because of mass production, we all know how much expensive handmade decors are, so we usually opt for the next best thing – imitation. Of course, we do not want to promote piracy or whatnot but we can’t deny that they already exist. I can’t tell you which ones on this list are handmade or machine-made, but one thing I can positively say is that they are fabulous and nifty! 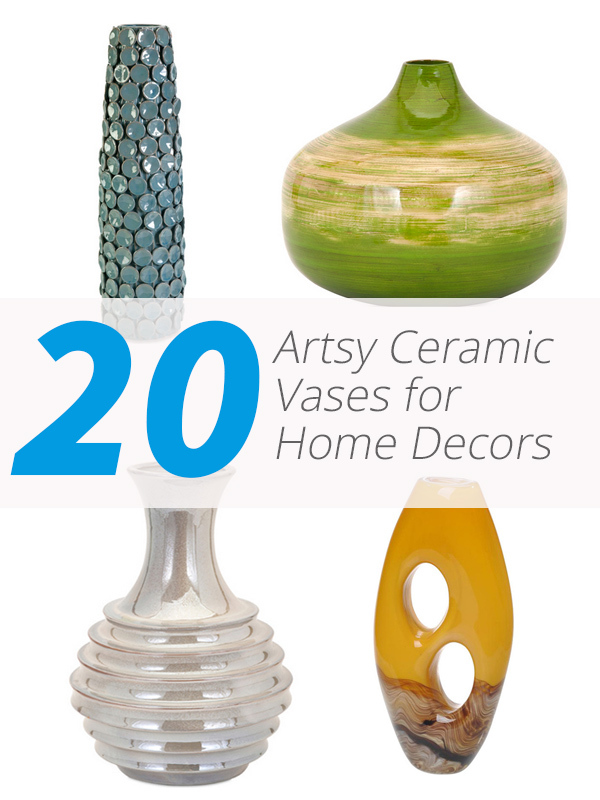 20 Artsy Ceramic Vases for Home Decors may not be as expensive as the original vase you saw but they will surely appeal to you, just check them out! 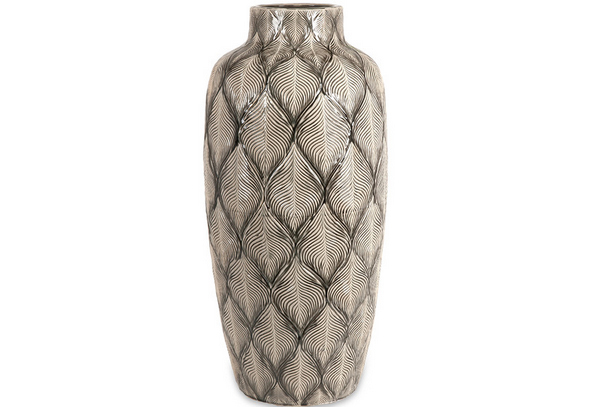 This tall Agean ceramic vase sure has that interesting texture that will surely catch your attention, right? 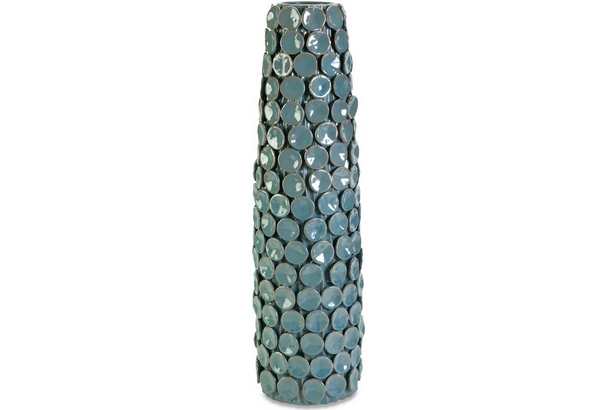 This ceramic vase with holes in them come in different colors and I know that you will finds something for you! When ombre became popular, IMAX sure made sure to make one that blends well with the fad in the season. 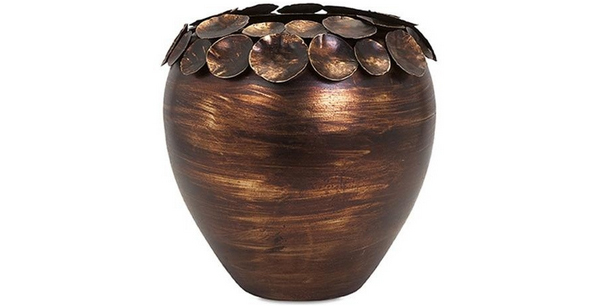 This bronze vase is quite unique and actually eye-catching! 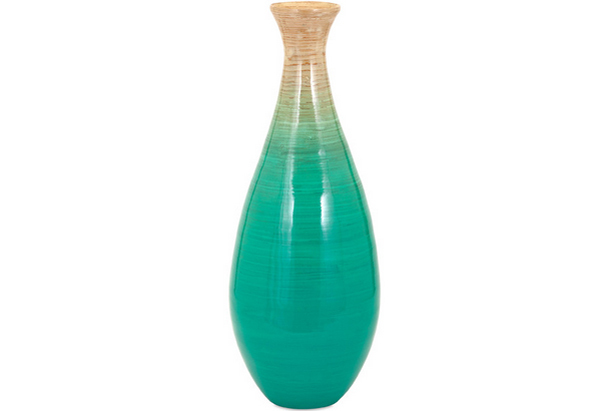 The color and aura of this vase is quite similar to either a bird’s wings or that of the clouds – it is just pretty! 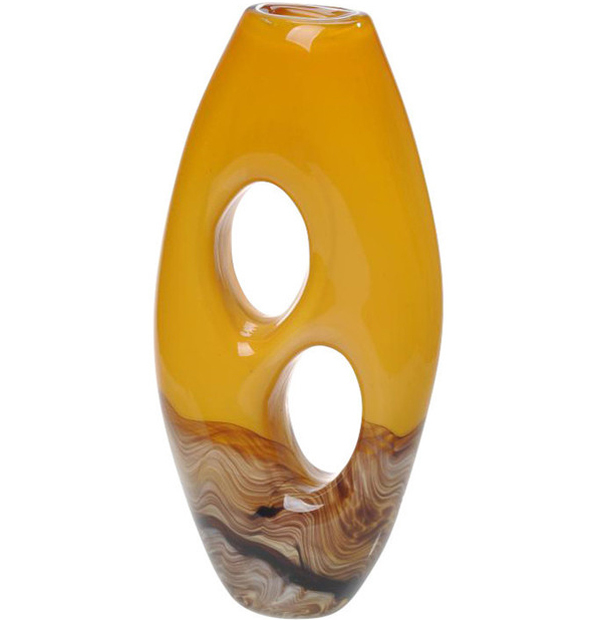 Talk about unique and lovely vase design – take my money Crestview! 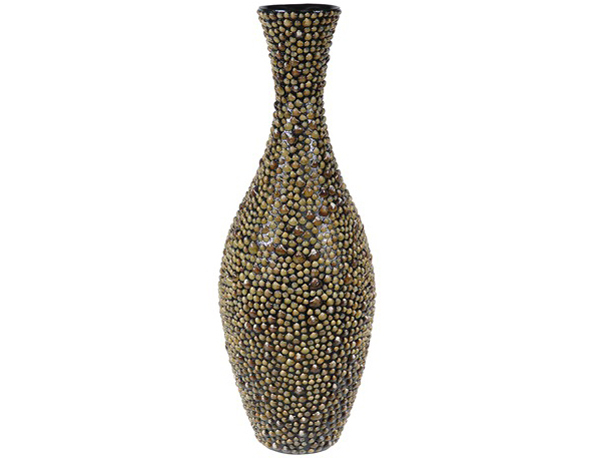 The color mix in this ceramic vase looks fancy as it looks very ethnic or native. 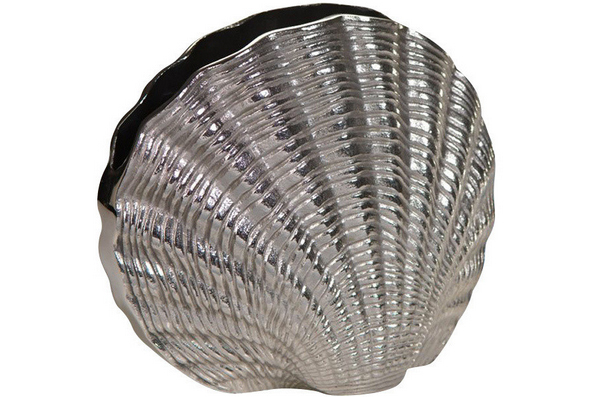 If you like silver decor in your house and breaks, this one might actually work for you! 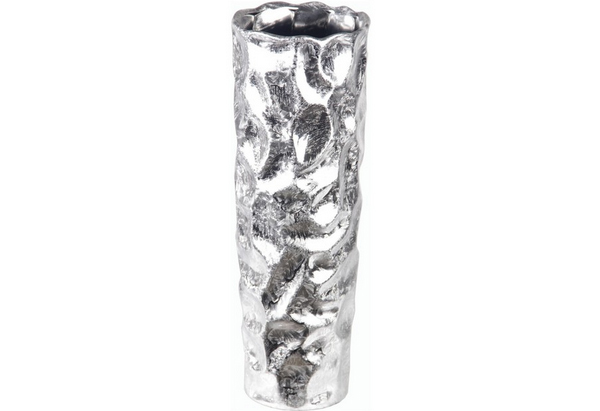 The feather-like look and feel to this vase is actually convincing right? Although you have to be careful of cuts; this sure is pretty! Want a sea-themed decor for your living room, Mauritius may be ideal! 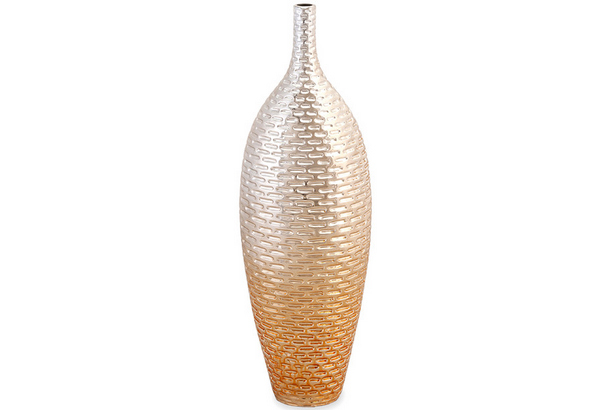 This metallic vase is quite a simple but catchy piece of decor that would make one’s living room a view! 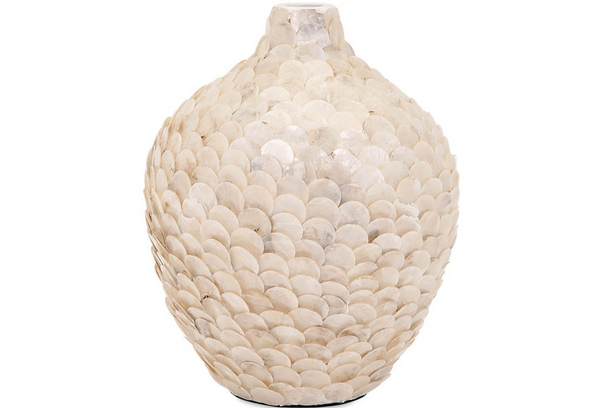 Artisan-themed decors never go out of style, that’s for sure! Just look at how cool this one is! 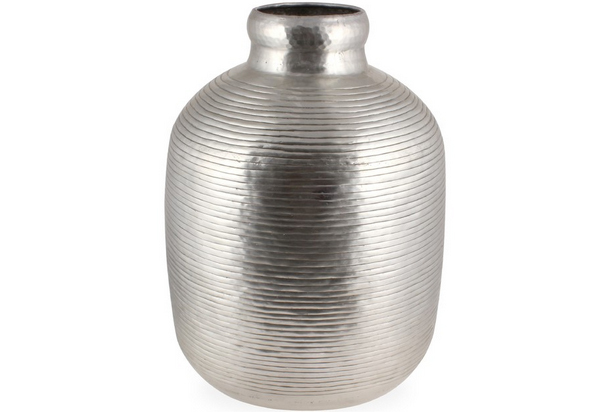 Fancy a chubby silver vase? I’m not sure how this one was made but it is really beautiful! 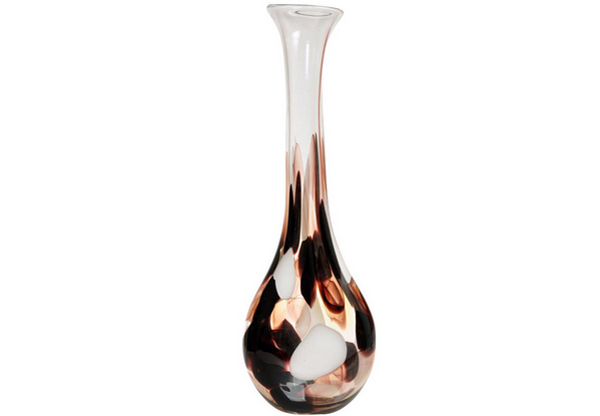 The floral cut of this vase is really pretty! 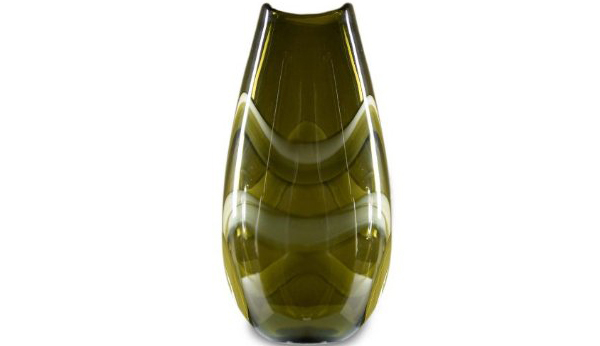 The color that came out of this vase is actually interesting and beautiful even when it is just so simple! This sure is one interesting work of art that I have seen. 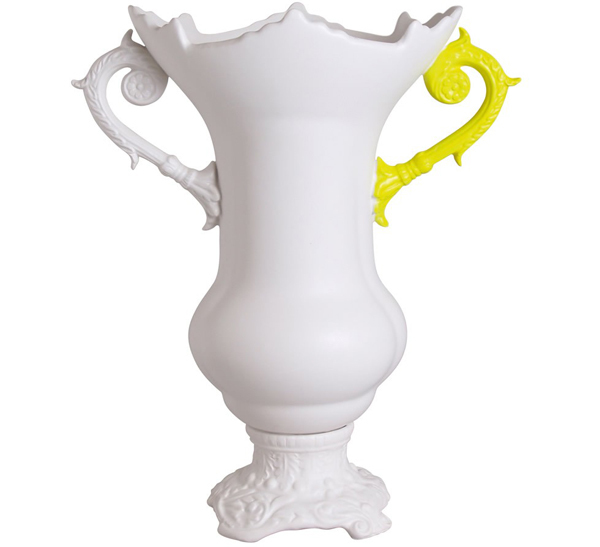 I mean, it looks really common except for the way it added a yellow handle when the vase is all-white. 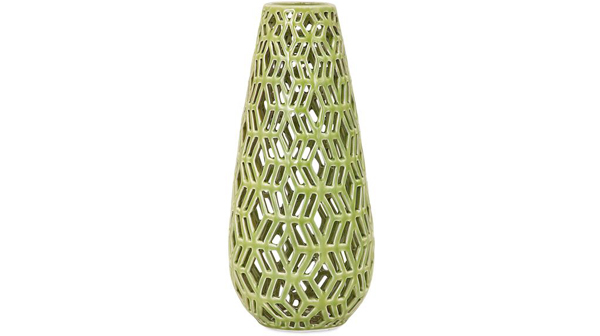 How do you find vases that are cutwork? I mean they are intended to house plastic flowers or plants because obviously we can’t add water to this vase, right? 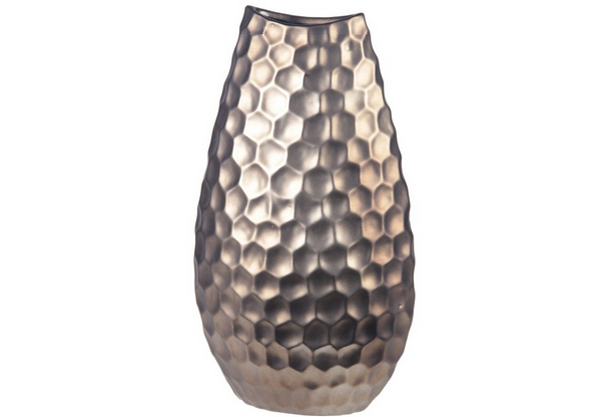 Ceramic vases’ designs sure has come a long way; just look at this silver vase that is looking rather like the moon’s face. 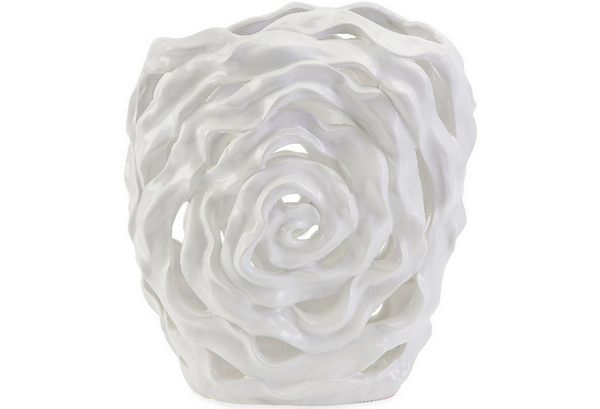 Last but not the least, one simple round-body vase that can both be useful and decorative! I guess that you have already seen the interiors with vases that was created way back and I actually liked it myself! 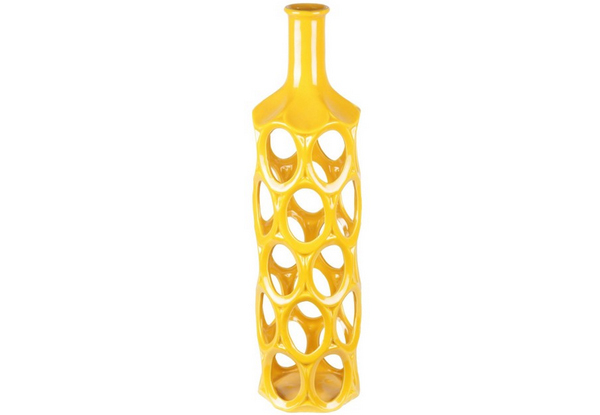 I mean, it is quite different from the Ceramic Vases for Home Decors that we have here today, but the fun and creative ways that these vases were designed may be the best treat we get out of just looking at items on the list! Tell us what you actually think of these lists guys!